BANGALORE, India & NAPLES, Fla.--(BUSINESS WIRE)--Wipro Limited (NYSE: WIT, BSE: 507685, NSE: WIPRO), a leading global information technology, consulting and business process services company, and ASG Technologies, a global provider of information access, management and control solutions, today announced an expanded partnership that integrates the offerings of Wipro’s Data Management Centre of Excellence (CoE) with ASG’s Enterprise Data Intelligence solution to improve compliance for the global financial services companies. A host of regulations, such as the Basel Committee on Banking Supervision (BCBS) 239, aim to bolster the risk data aggregation capabilities and internal risk reporting practices of banks, and are driving technology spending in the financial risk and compliance domain. ASG’s Enterprise Data Intelligence solution addresses compliance by providing an end-to-end view of an organization’s information estate to improve data visibility, analysis and understanding. Wipro’s service offering ensures that data is reported in a reliable and consistent manner across the business. As a result, global businesses in the financial services sector can respond to compliance requests in a timely manner and with confidence in the accuracy of their data. 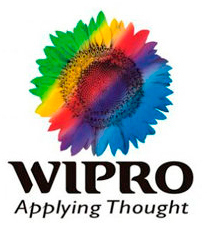 Wipro has signed a global value-added reseller (VAR) agreement with ASG. With this agreement, Wipro will have a non-exclusive license to sell the ASG Enterprise Data Intelligence solution worldwide to its customers. The two companies will work together to offer consultancy services on BCBS 239 and data lineage as a service, which will help financial services customers meet compliance guidelines, and align critical business controls to the data supply channel. Wipro Limited (NYSE: WIT, BSE: 507685, NSE: WIPRO) is a leading information technology, consulting and business process services company that delivers solutions to enable its clients to do business better. Wipro delivers winning business outcomes through its deep industry experience and a 360-degree view of “Business through Technology.” By combining digital strategy, customer centric design, advanced analytics and product engineering approach, Wipro helps its clients create successful and adaptive businesses. A company recognized globally for its comprehensive portfolio of services, strong commitment to sustainability and good corporate citizenship, Wipro has a dedicated workforce of over 170,000, serving clients across 6 continents. For more information, please visit www.wipro.com. ASG Technologies Group, Inc. brings peace of mind to today’s enterprise with information access, management and control solutions for our customers. These solutions empower businesses to enhance workforce productivity, gain an accurate and timely understanding of the information that underpins business decisions and address compliance needs with improved visibility of cross-platform data from legacy to leading edge environments. More than 70 percent of global Fortune 500 companies trust ASG Technologies to optimize their IT investments. ASG Technologies is a global provider of technology solutions with more than 1,000 people supporting more than 4,000 midmarket and enterprise customers around the world. For more information, visit www.asg.com.